Using a black plastic comb and a simple wooden toothpick, a girl beckoned some captive dolphins from the other side of their windowed prison. 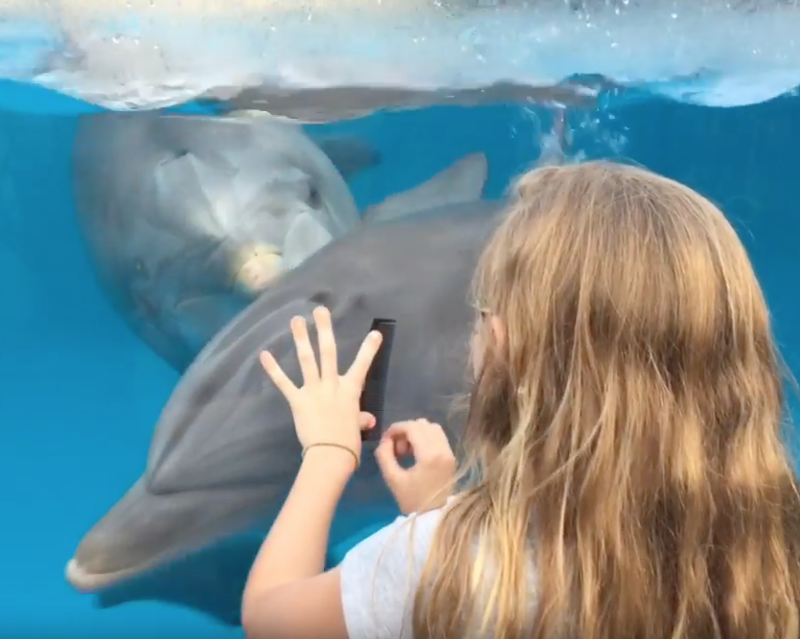 My daughter tried several different ways to have the Seaworld dolphins come to her. She tried different toys, a cell phone, tapping the glass, and different movements, none of these worked consistently for her. She did some online research and found the comb method and thought she’d give it a try. The next time she went to SeaWorld, she played the comb for the dolphins and they loved it! Clever, but SeaWorld? Seriously...? Are we still taking our kids there? Sounding like something out of a mediocre Hollywood movie, SeaWorld has copped to infiltrating animal rights groups and spying, under the guise of protecting them selves from "credible threats." I also enjoy that "certain employees" were directed to these tasks. Seal trainers? Cotton candy spinners? Reading from a statement while speaking with analysts, Chief Executive Officer Joel Manby said SeaWorld's board of directors has "directed management to end the practice in which certain employees posed as animal-welfare activists. This activity was undertaken in connection with efforts to maintain the safety and security of employees, customers and animals in the face of credible threats." Chris Palmeri reports that an employee of SeaWorld posed as an activist and worked for the animal rights organization for years. The claim, if true, could mark another public-relations black eye for SeaWorld, which has faced withering criticism of its marquee attraction -- trained killer whales performing for guests. The company has endured a critical documentary, boycotts and the loss of sponsorships. Attendance and revenue have suffered. 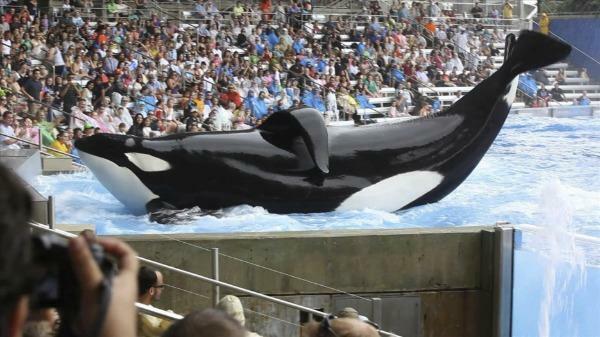 … SeaWorld didn’t respond to other questions, including whether McComb works for the company. McComb, reached by mobile phone using the number at the jresume.com site, declined to say if he was a SeaWorld employee and hung up when asked if he used the name Thomas Jones.